Craig Ball: What direction am I facing? 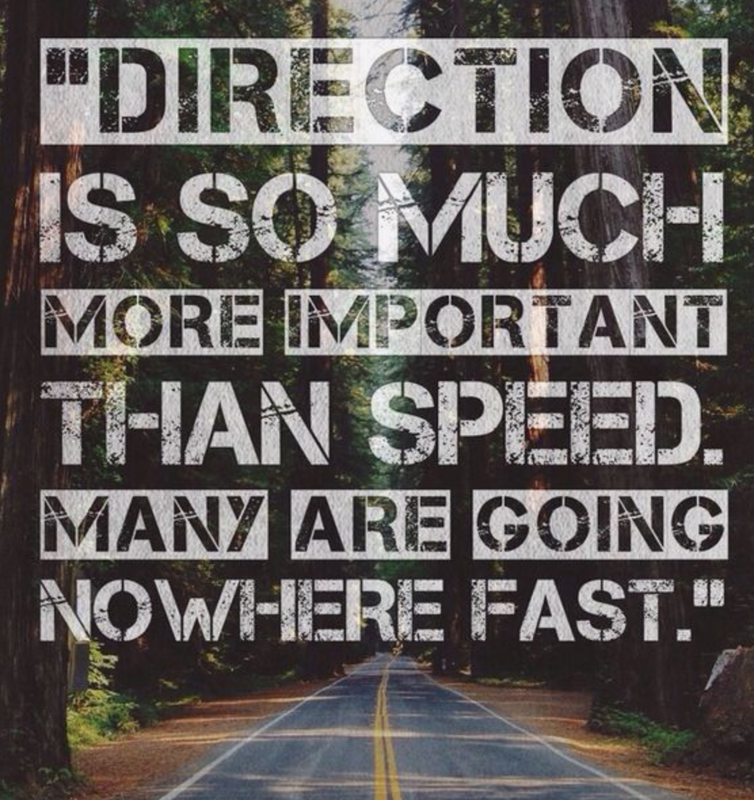 You could be going really fast in the wrong direction. What direction am I facing? 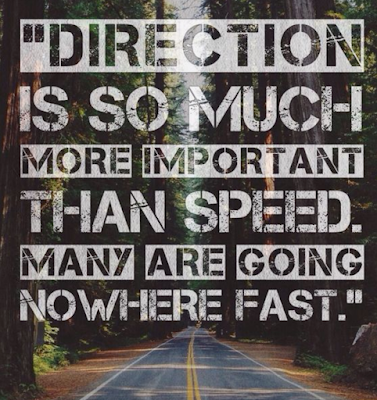 You could be going really fast in the wrong direction. John F. Kennedy once said that "Efforts and courage are not enough without purpose and direction." When you think about it...finding the right direction is a skill that you want to be good at. I tell my football players all the time...making great first steps and adjusting along the way is something that I'm looking for in a player. I have seen too many players that are fast...but never seem to be around the ball when it counts. Speed matters...but not if you are going in the wrong direction. Make sure you are taking the right steps toward your goals...not just any steps. Related Post: How do you pick which road to take? The Decision is not as complicated as you might think. Today's Comment: What are a few strategies that can help when deciding what direction to go?